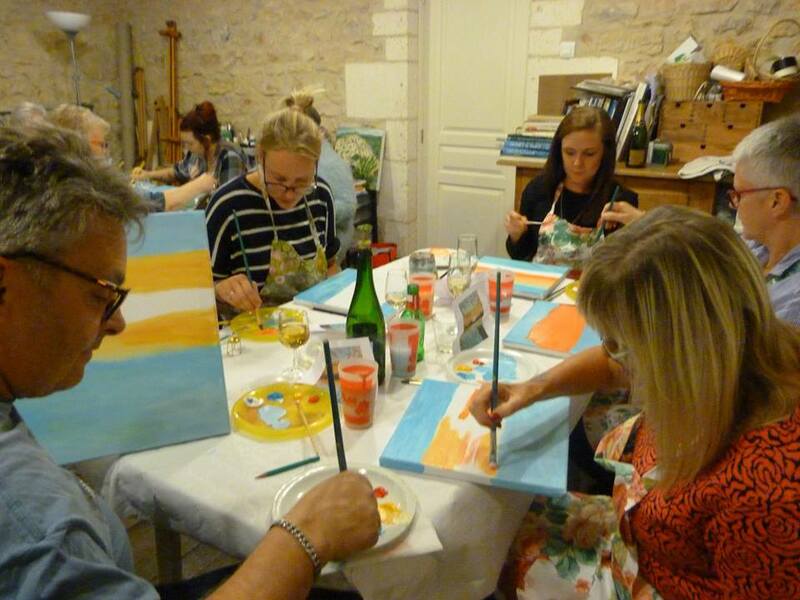 Unleash your inner creativity at PaintApéro! 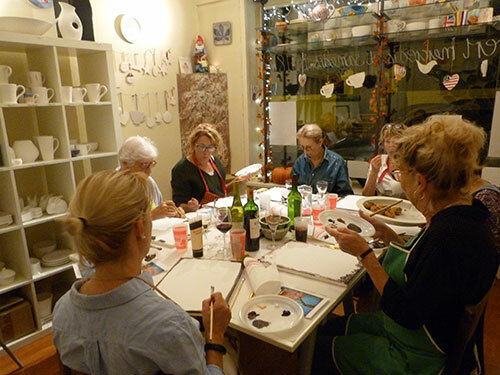 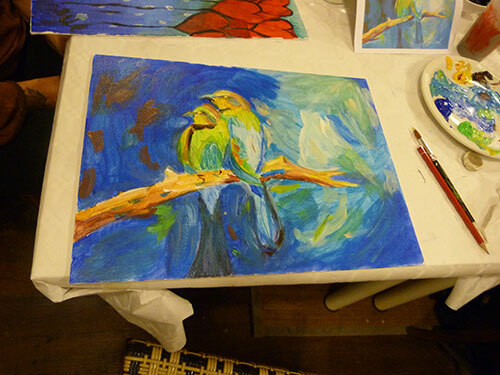 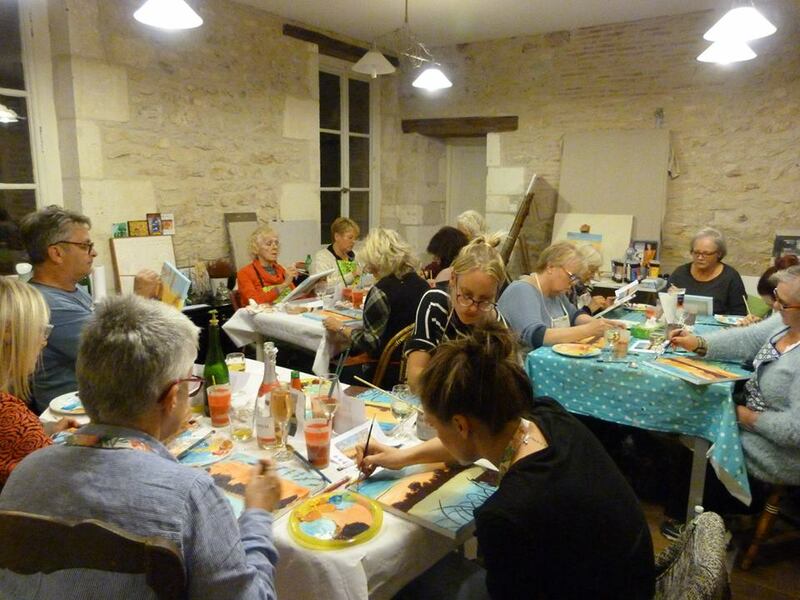 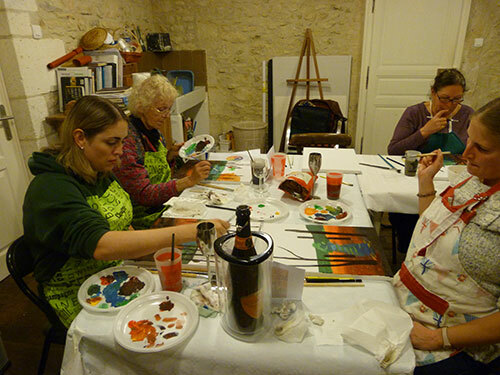 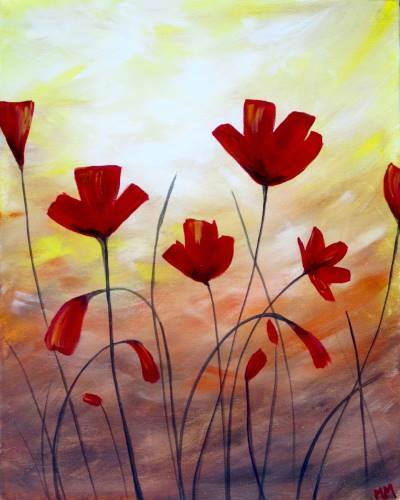 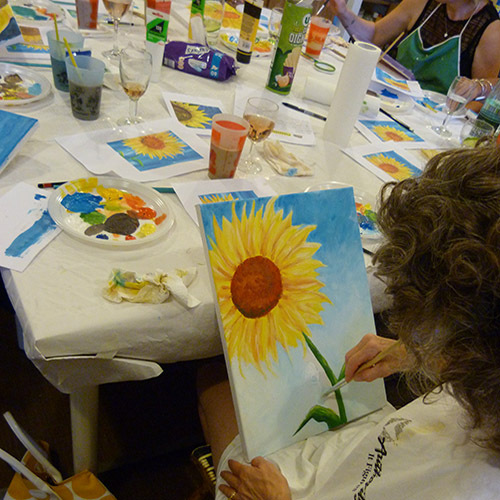 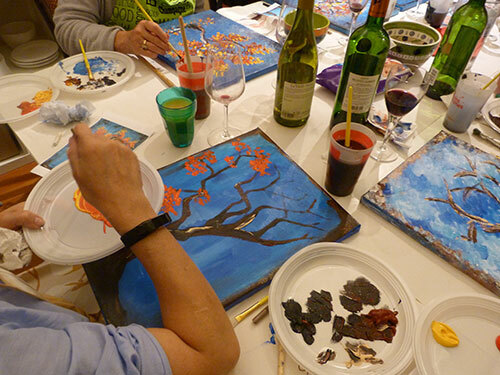 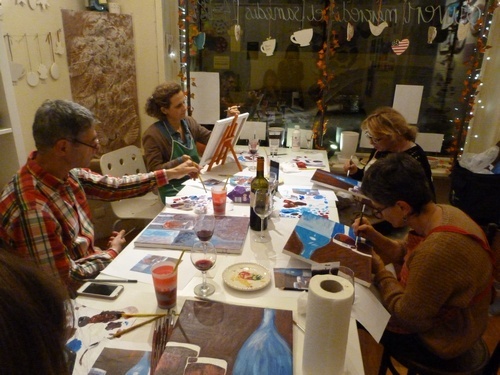 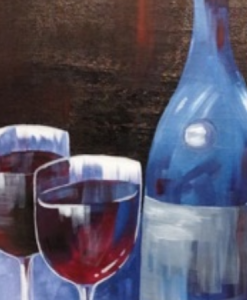 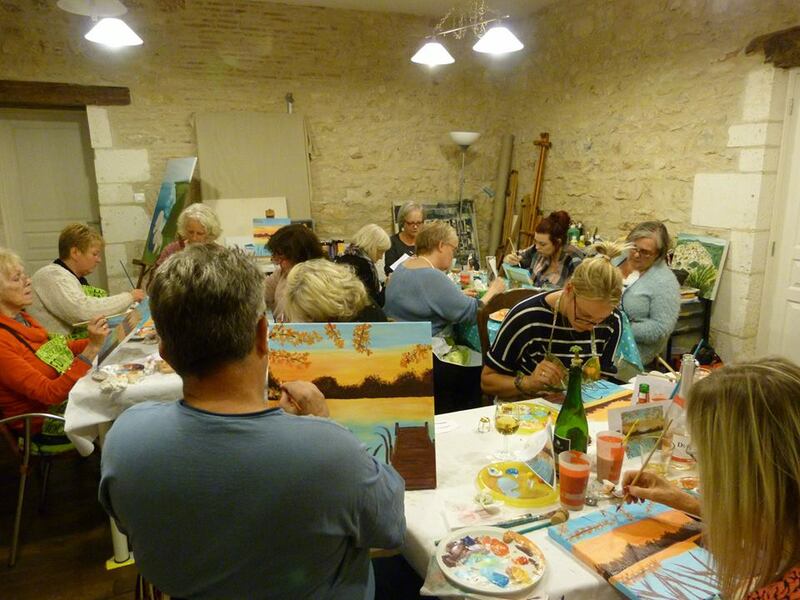 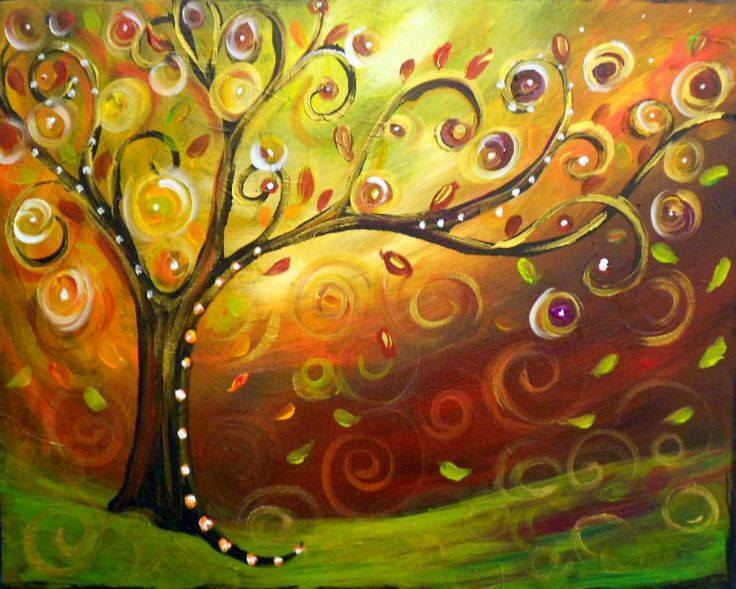 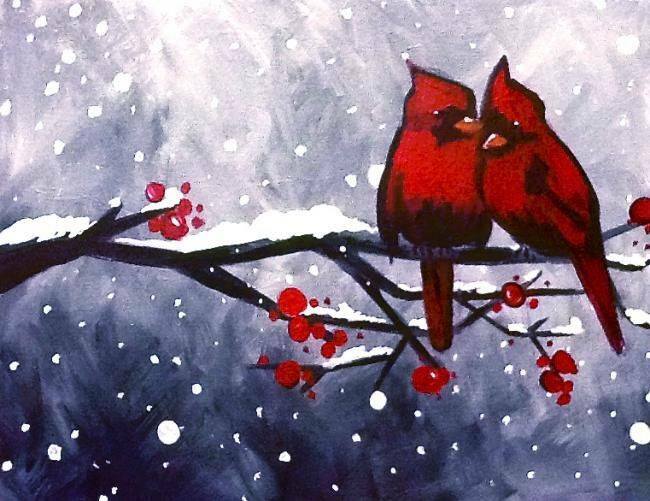 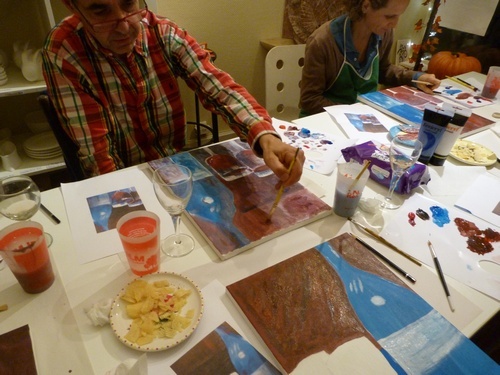 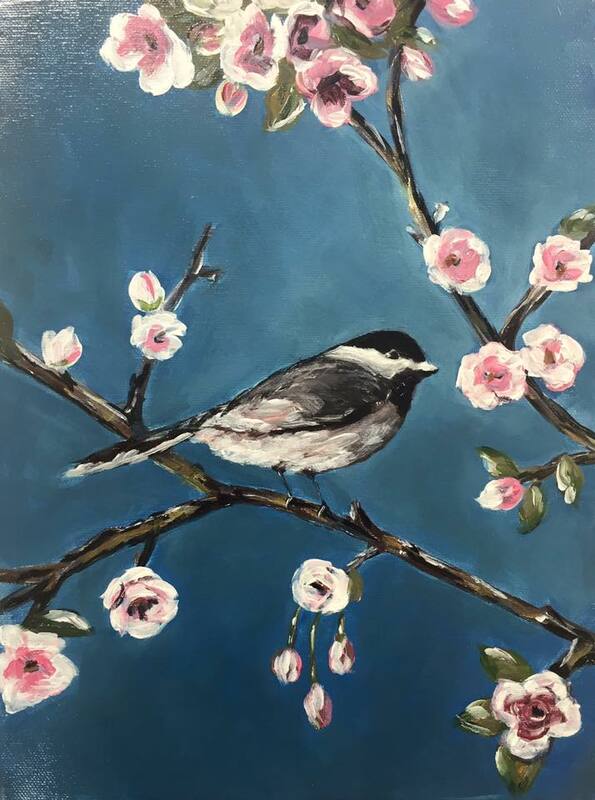 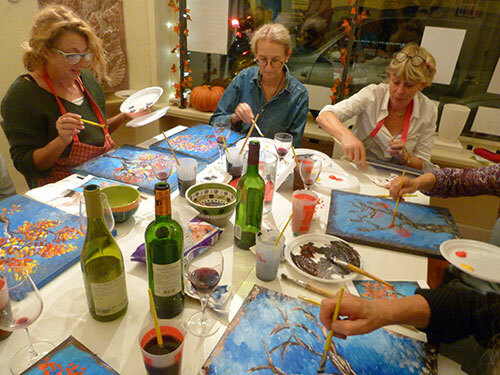 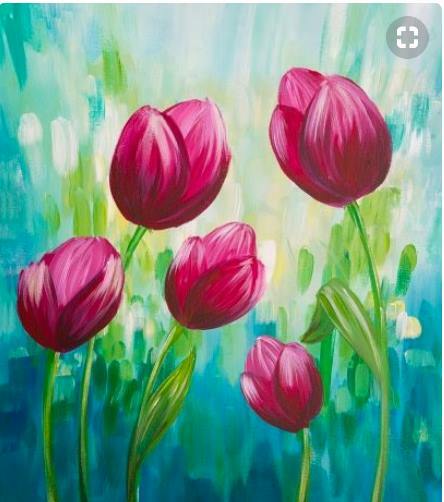 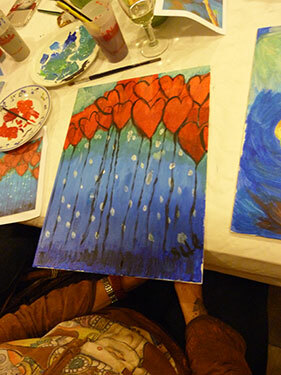 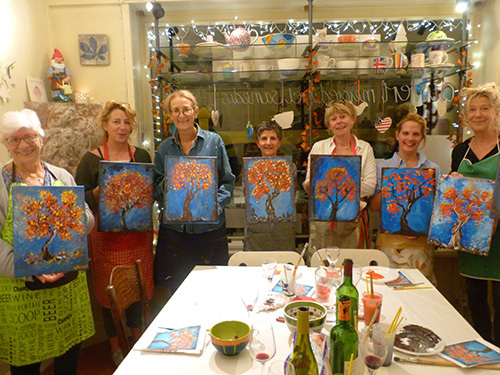 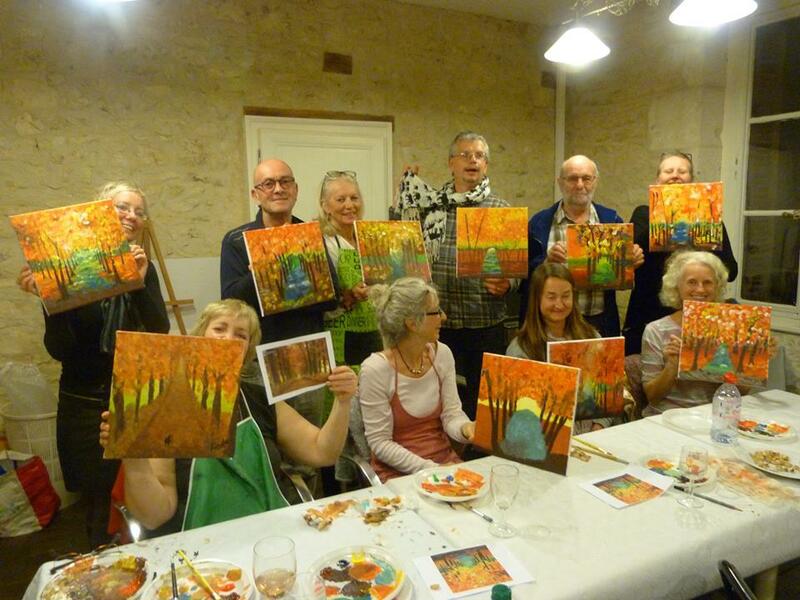 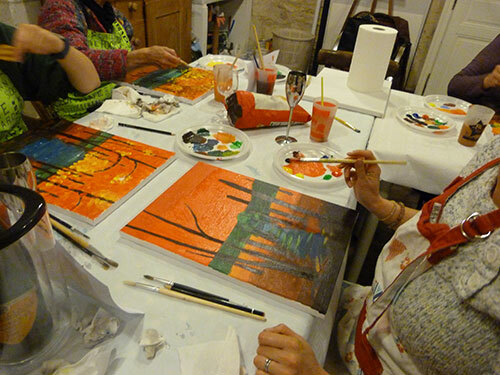 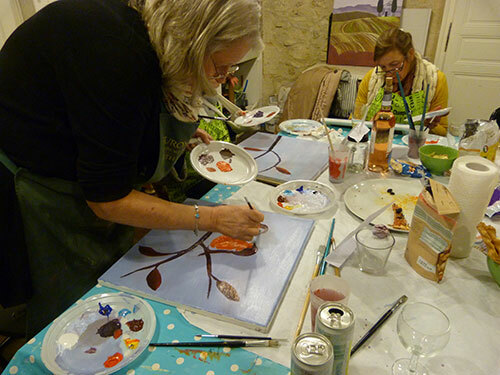 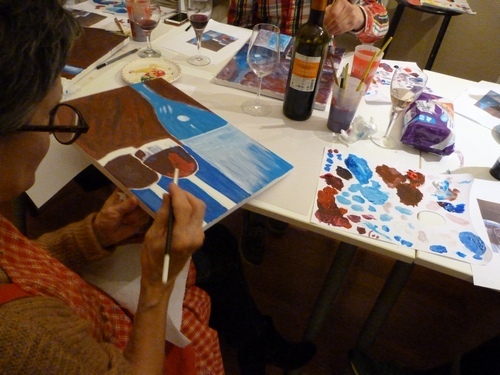 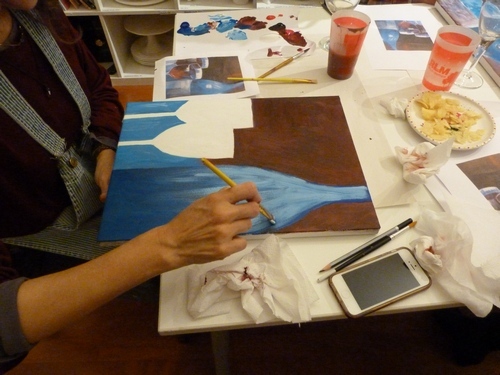 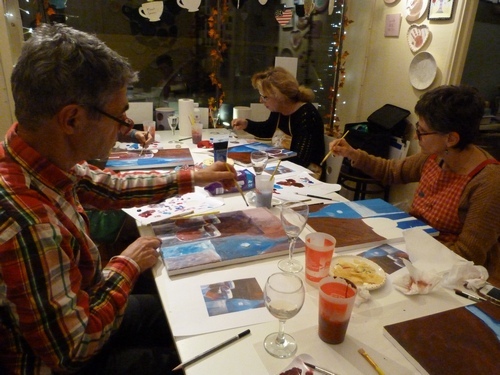 Come and have fun at one of our Art and Wine parties, with host Chrissie Sally! 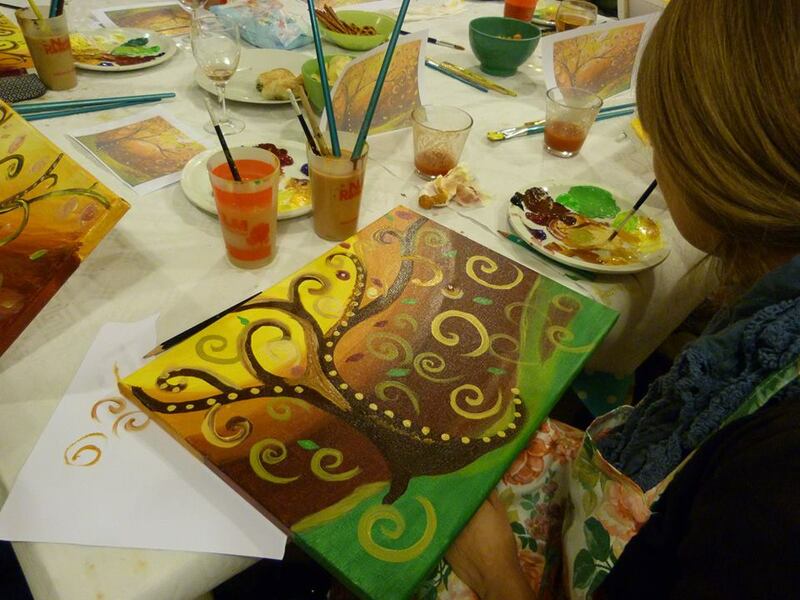 You will be provided with a canvas and all the equipment needed to create your very own masterpiece. 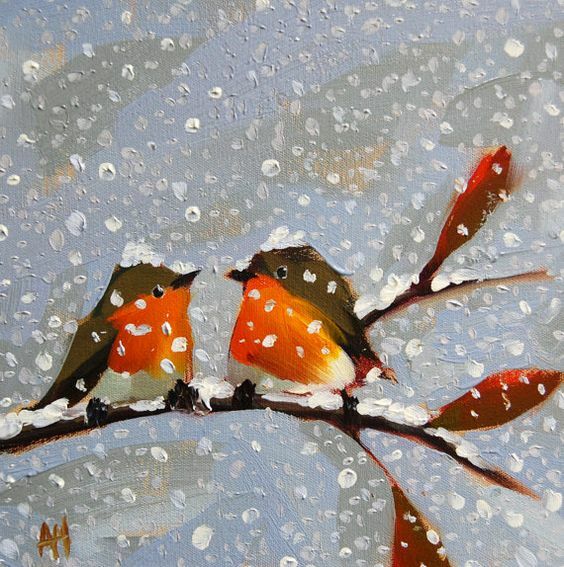 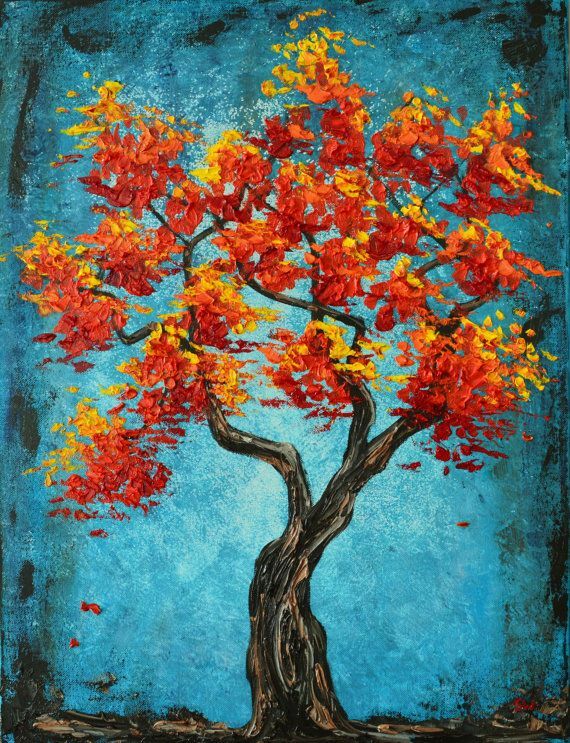 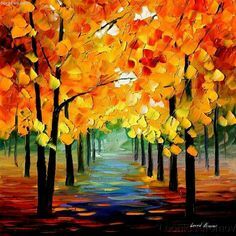 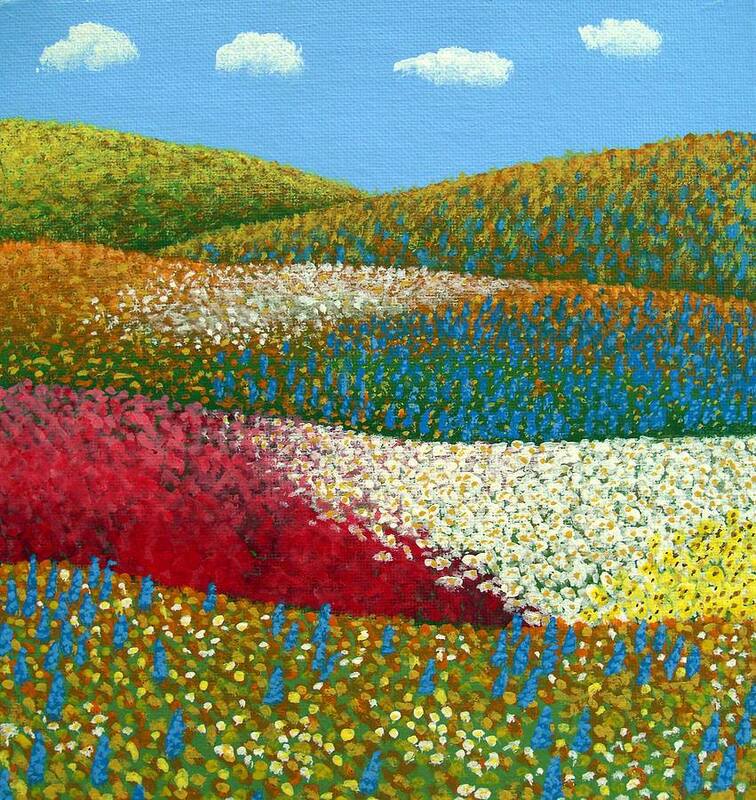 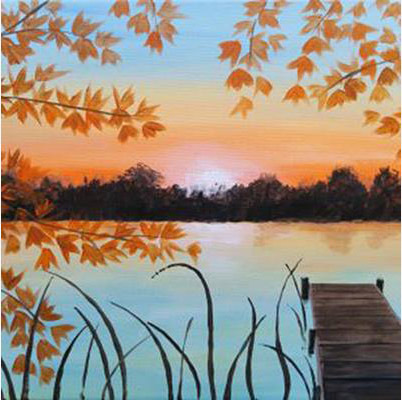 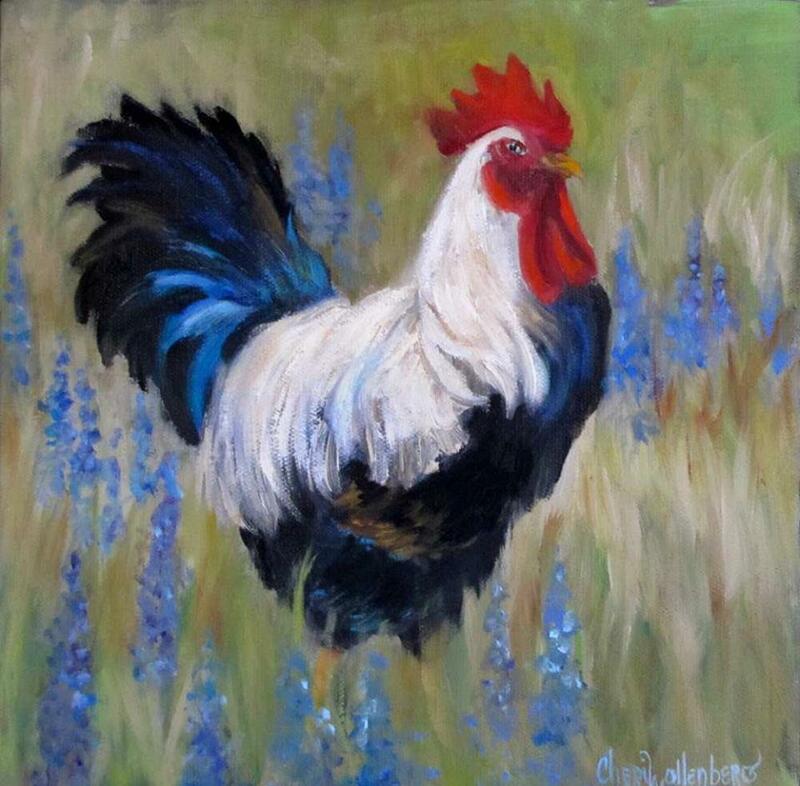 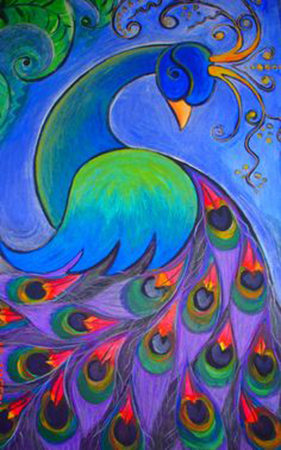 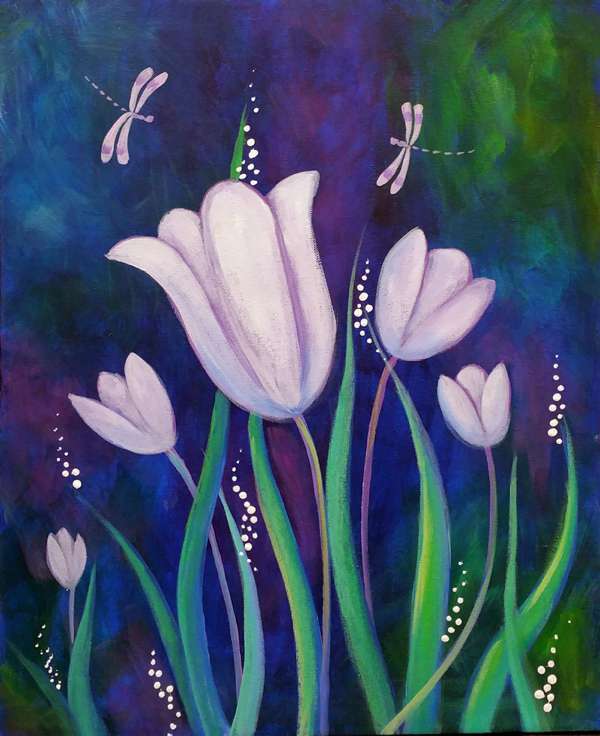 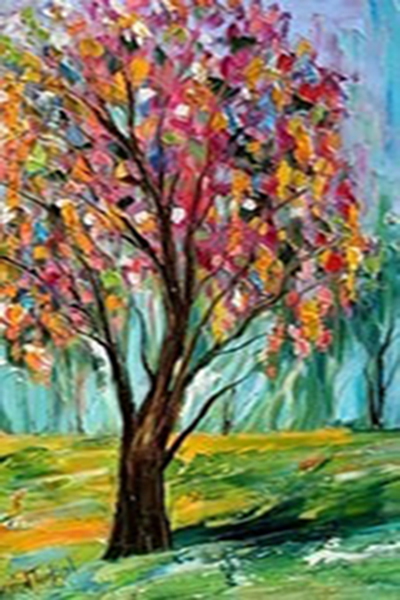 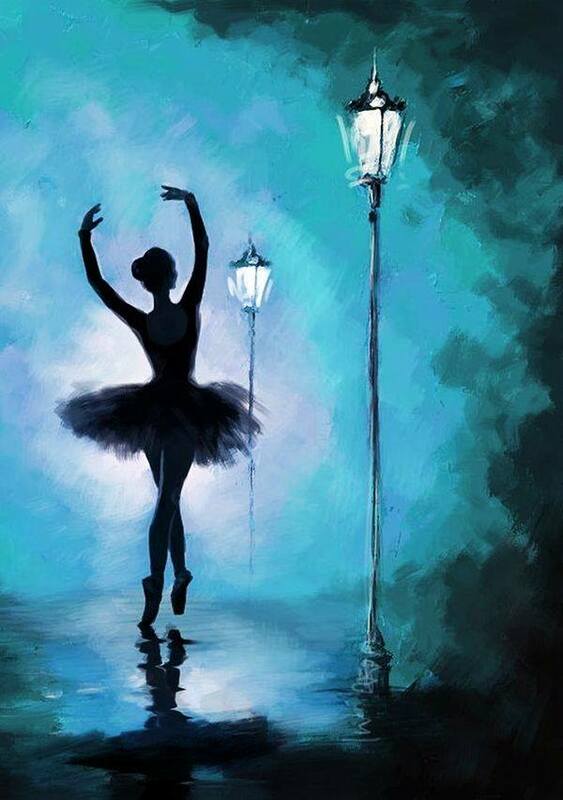 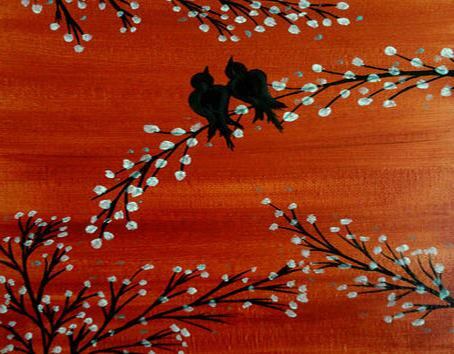 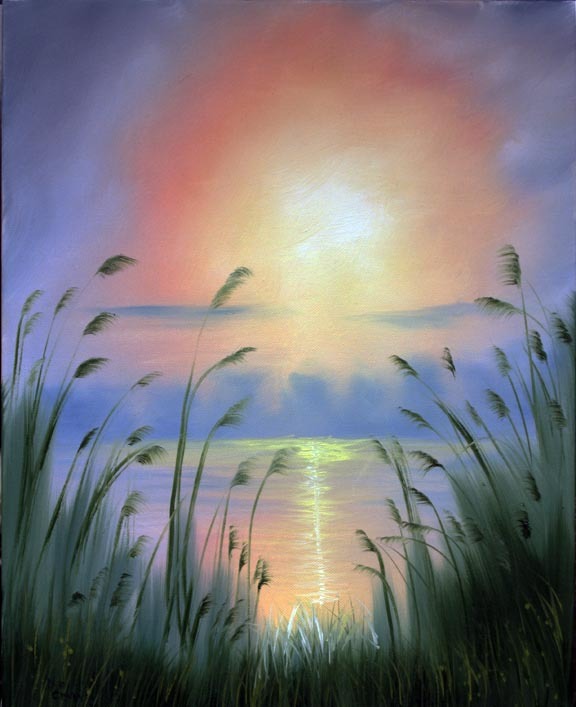 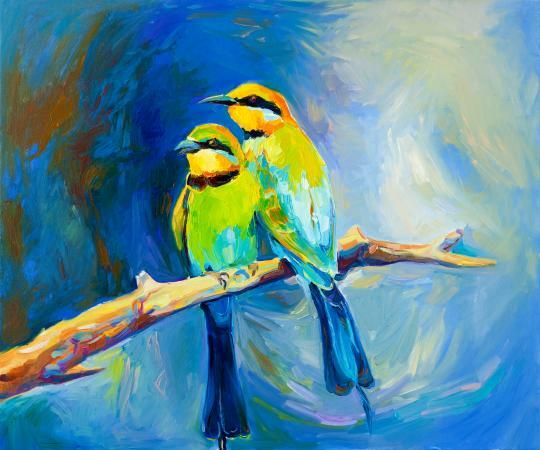 You will get to paint on canvas, from a carefully selected painting. 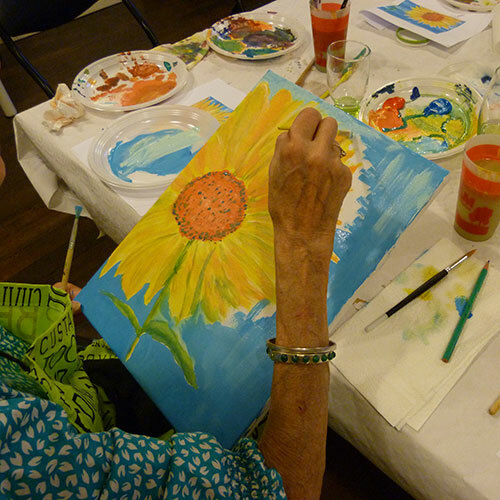 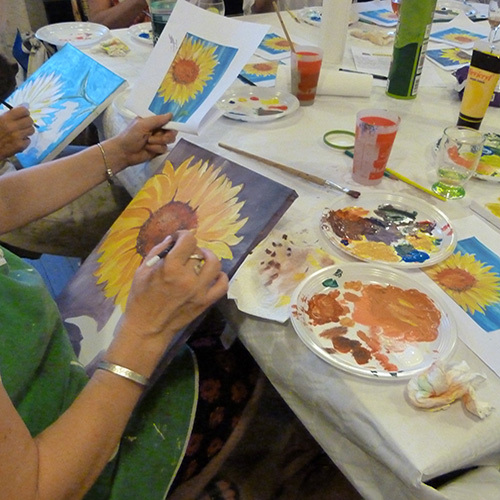 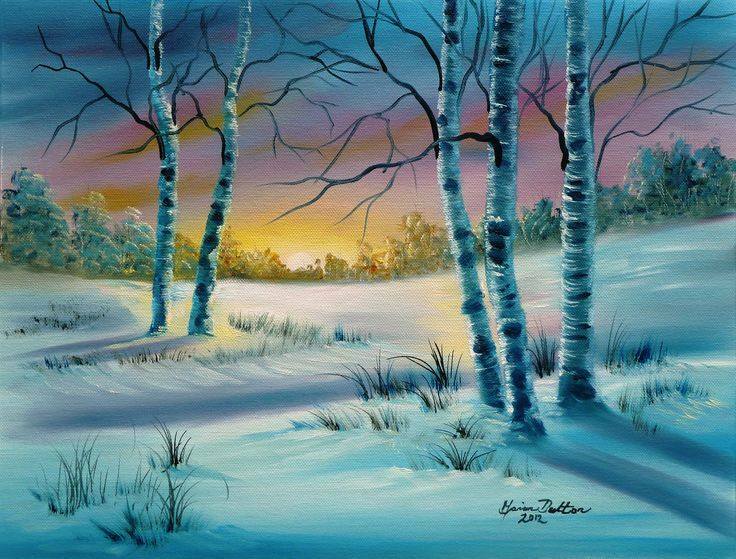 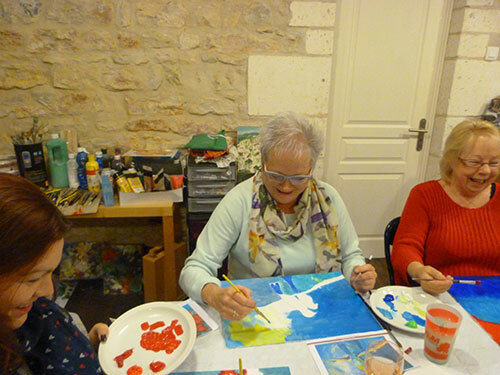 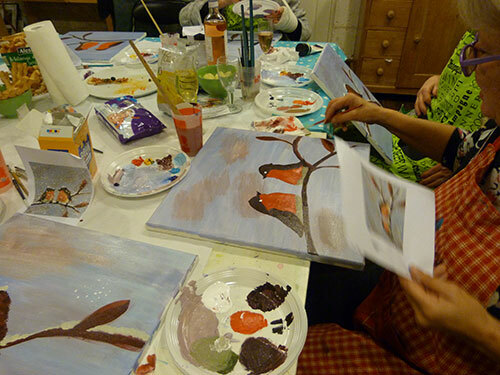 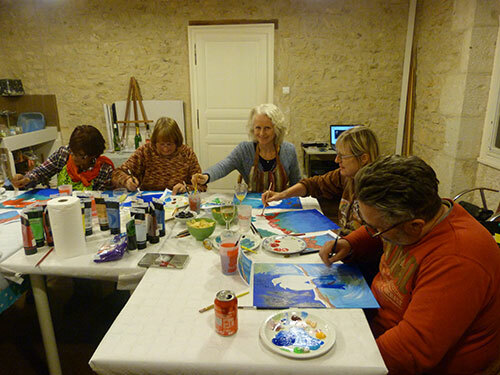 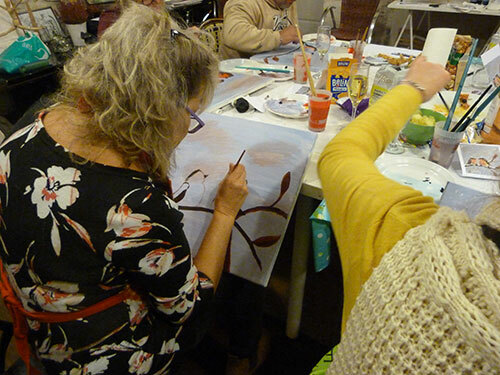 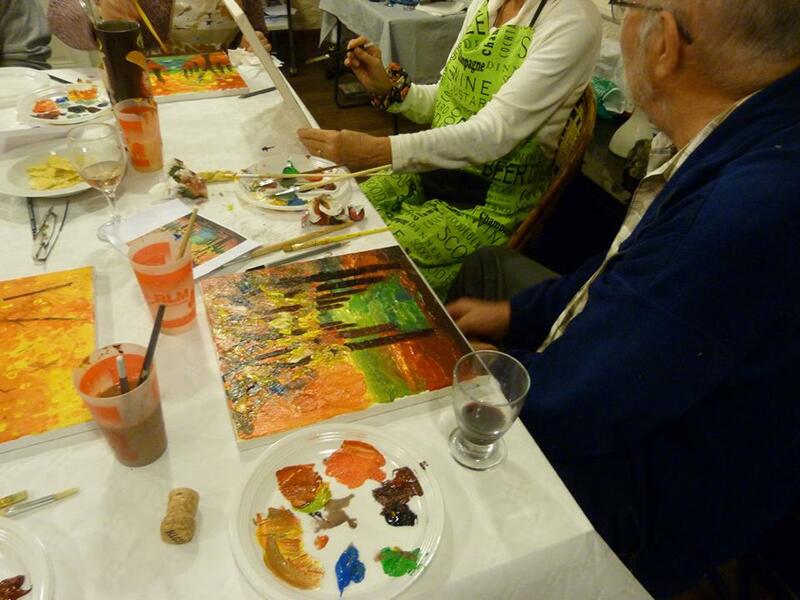 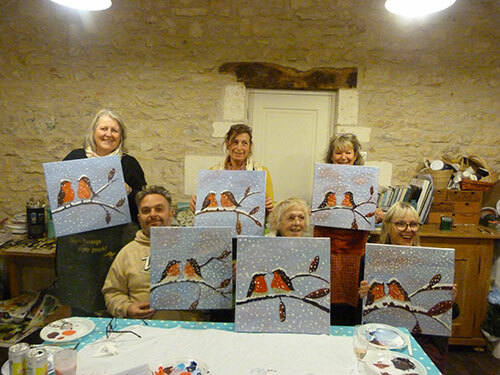 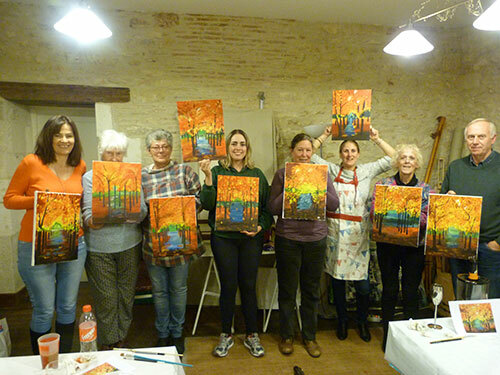 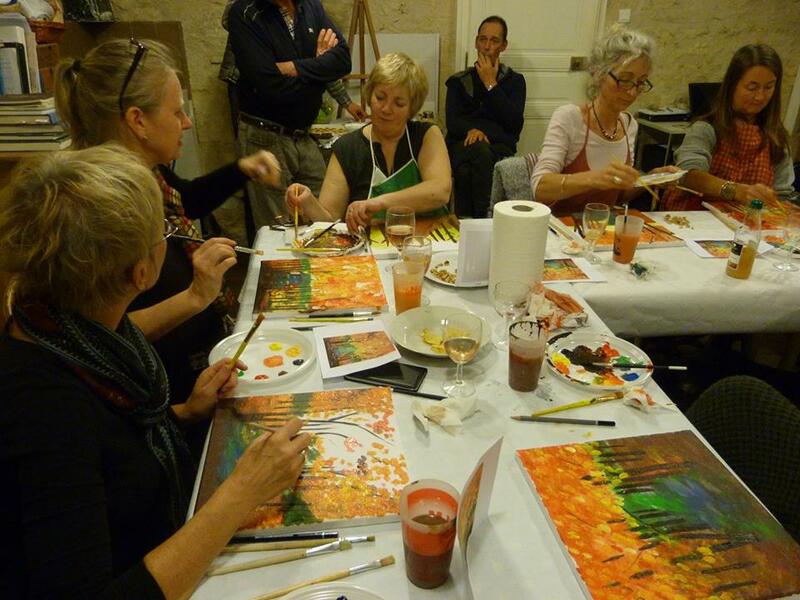 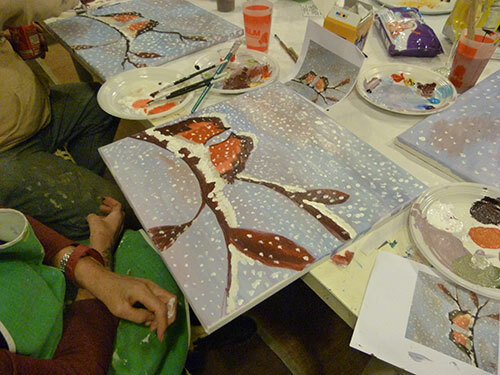 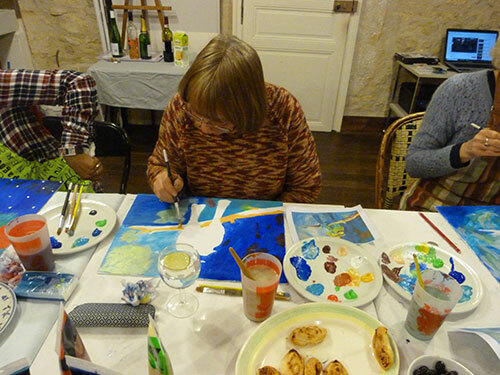 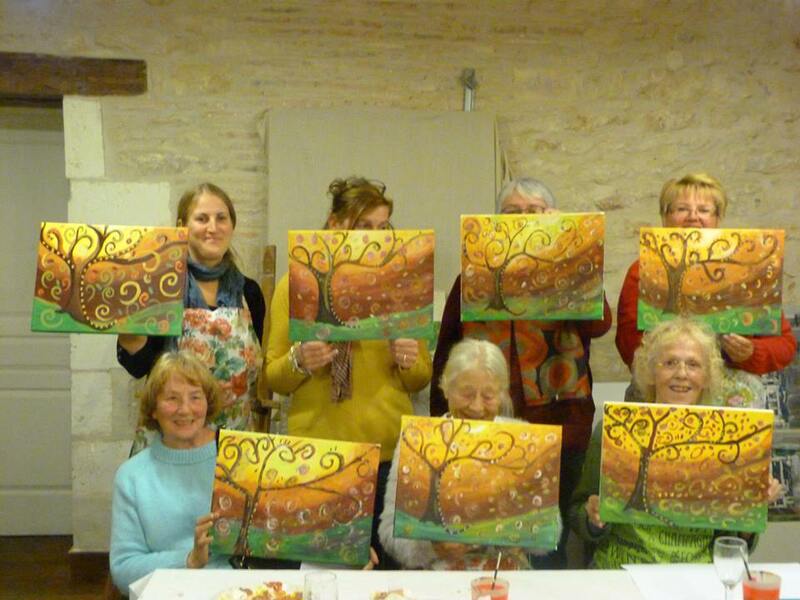 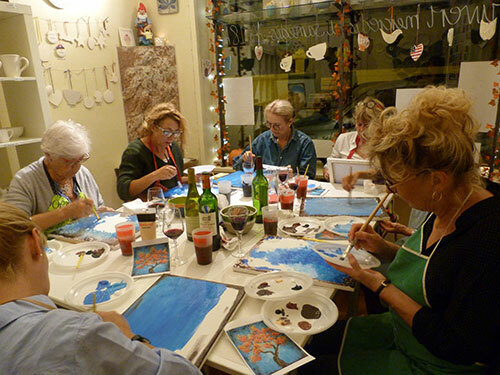 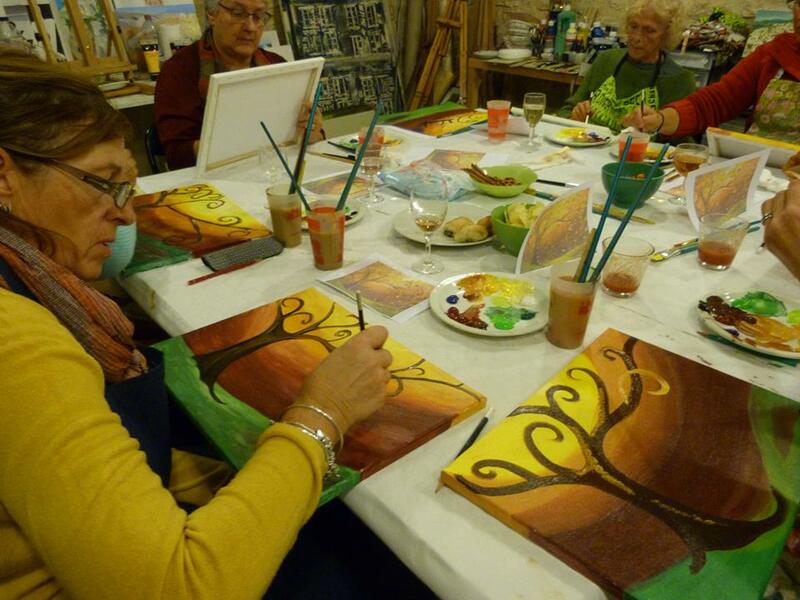 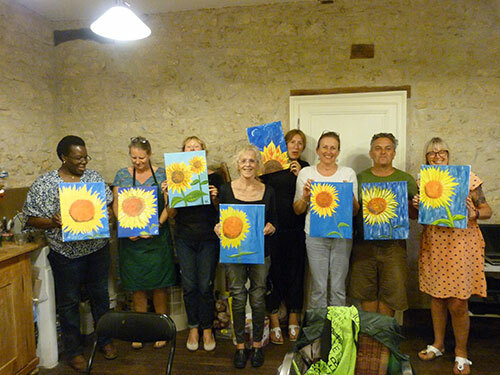 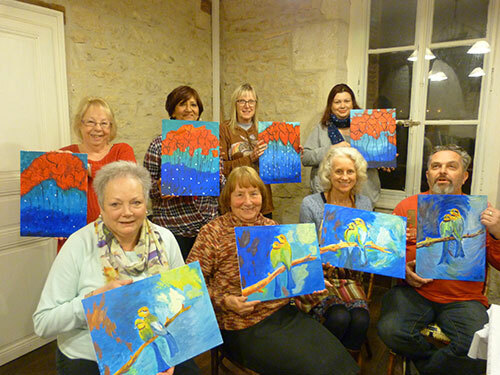 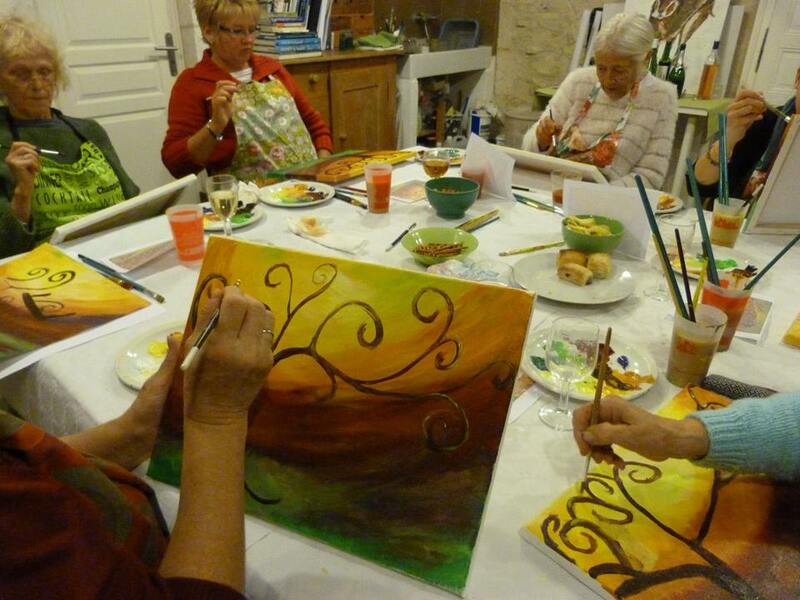 We will lead you through all the steps needed, so beginners and budding Van Goghs welcome. 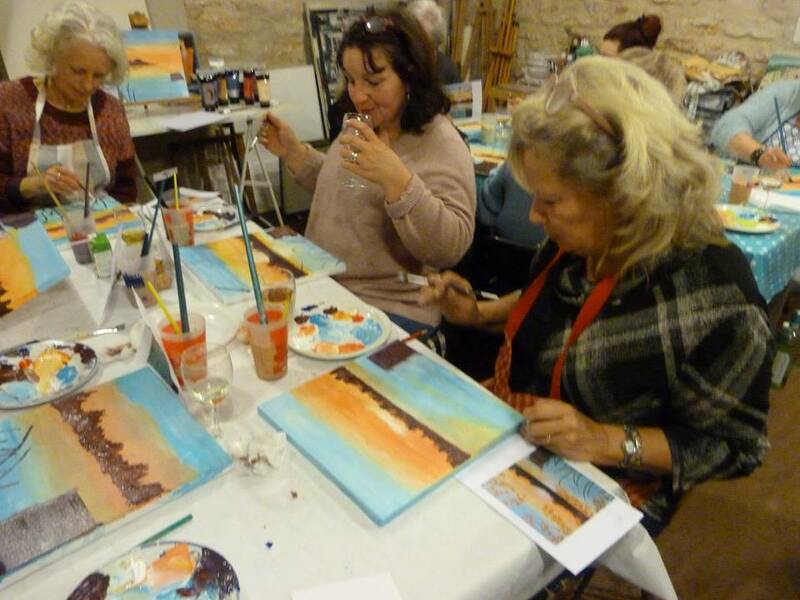 Whether you want a fun night out with friends, ‘me’ time or a kick start to Art, this is the event for you! 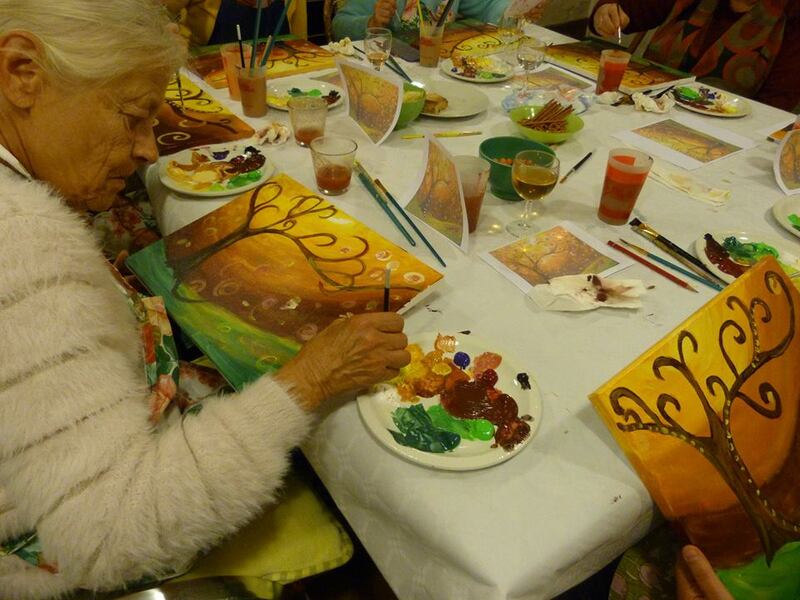 We provide all the equipment necessary. 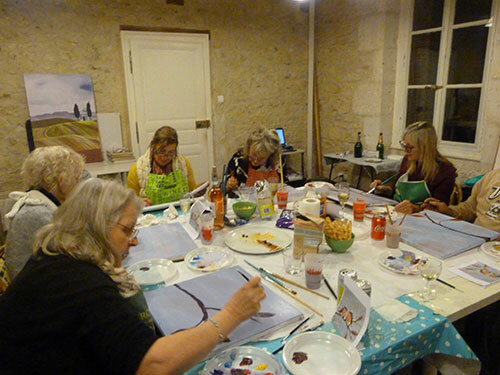 All you need to bring to complete the Paintapéro experience is yourself and your favourite tipple and nibbles to get the creativity flowing. 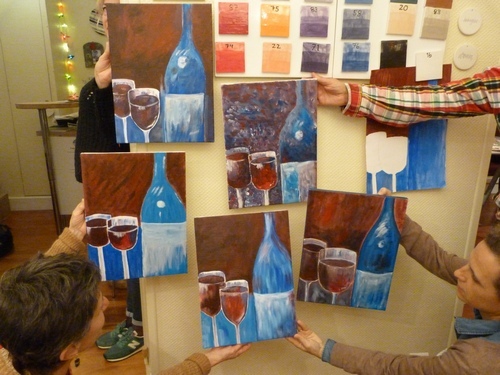 In two hours you will get the chance to create an work of art that you will be proud to take home and put on your wall! 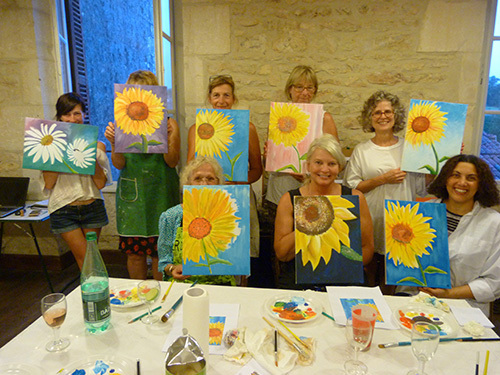 So come and join in the fun and experience another Paintapéro event! 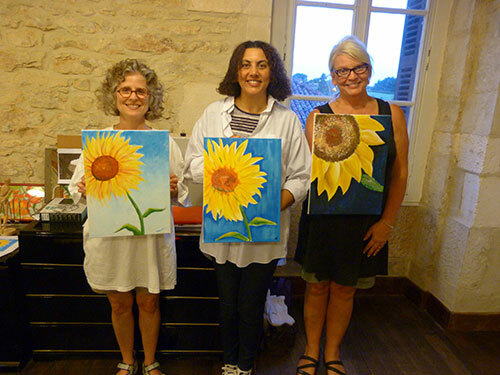 Have some fun and book an event with PaintApéro! 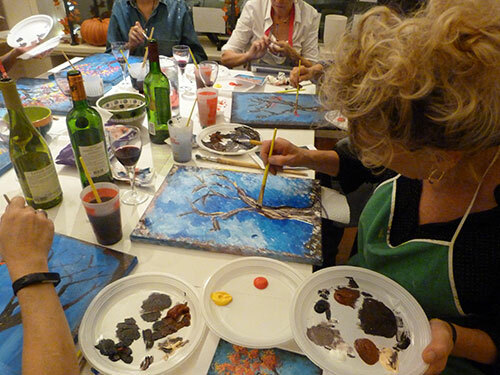 You choose the date and time and PaintApéro will bring the fun and creativity. 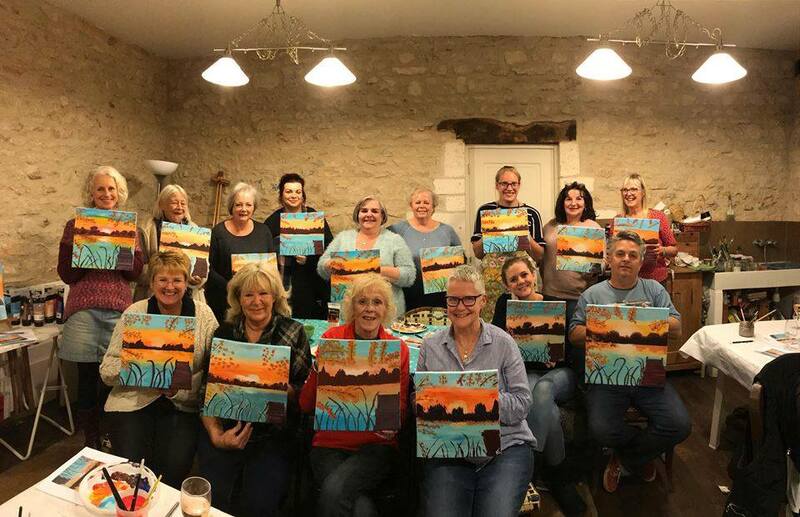 Whether it’s a girl’s night out, a Birthday Party, a Hen Party or a corporate event, the ideas are endless to have some creative fun. 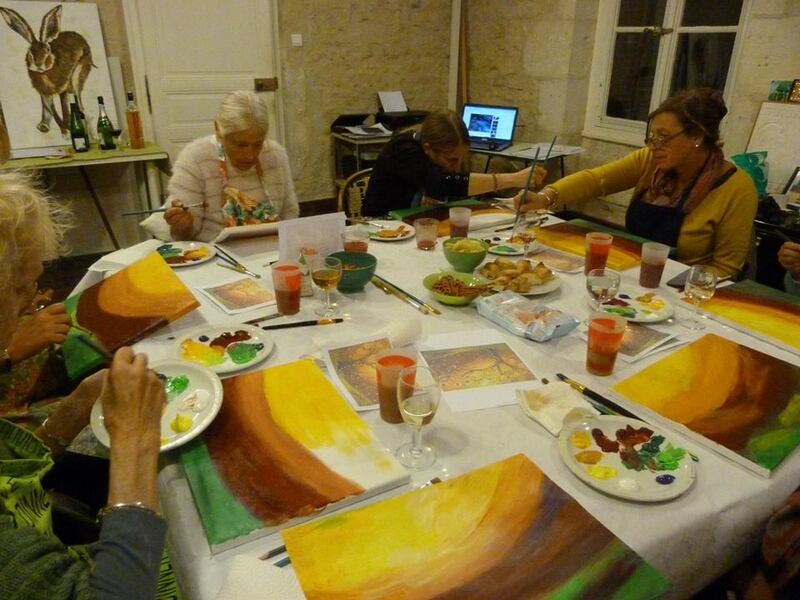 Our main locations are in Bordeaux and Charroux (86) but we're happy to come to you anywhere in Nouvelle Aquitaine.